The Oval Partnership has undertaken the masterplan and design of the first-of-its-kind cultural and creative park in Xian, the ancient imperial capital of China. 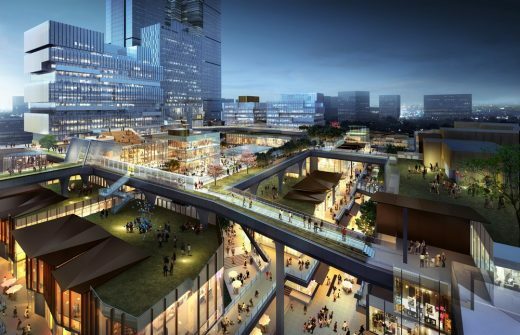 Slated to complete and open in late 2018, the Qujiang Creative Circle is the culmination of years of our effort in researching and exploring open-air, street-style mixed-use developments. 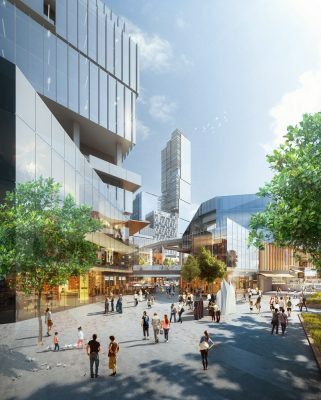 Following the success of Taikoo Li Sanlitun in Beijing and Sino Ocean Taikoo Li in Chengdu, Qujiang Creative Circle will embody the very essence of The Oval Partnership’s unique “Open City” planning principles, setting a new standard for experiential retail and urban lifestyle development. Situated in the National Cultural Industry District along Yan Xiang Lu, the Qujiang Creative Circle will provide 527,000 square metres of mixed-use space including office, retail, residential, entertainment, recreational and public amenities. The site is a discreet mix of the old and new, with famous historical sites including the Big Wild Goose Pagoda, Da Ci’en Temple and Tang Paradise sitting alongside such educational institutes as Xi’an Jiaotong University and Xi’an University of Technology. As such, the Qujiang Creative Circle will serve to bridge the past, present and future, nurture the spirit of creativity, and ultimately become a new destination for cultural and creative industry endeavors in Xi’an. 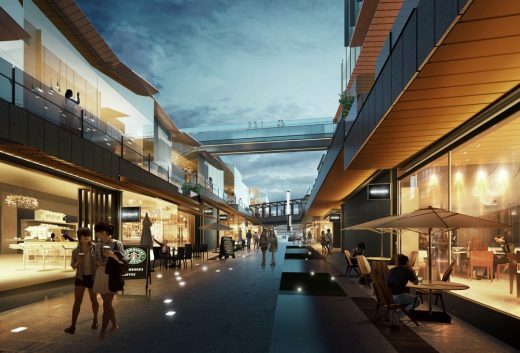 The Qujiang Creative Circle will encompass all aspects of lives — commercial, residential, recreational and entertainment — that the young and creative millennials across the globe are calling for. 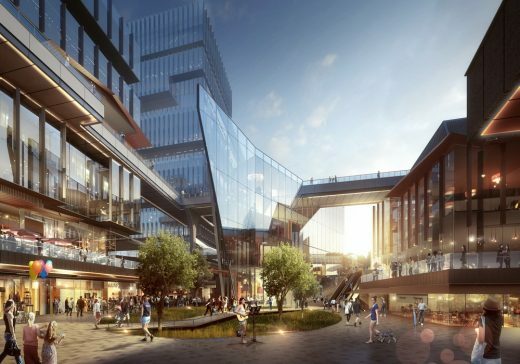 The result is an inclusive, sustainable urban ecosystem which caters to the live-workplay lifestyle eagerly sought after by the new generation in Xi’an. 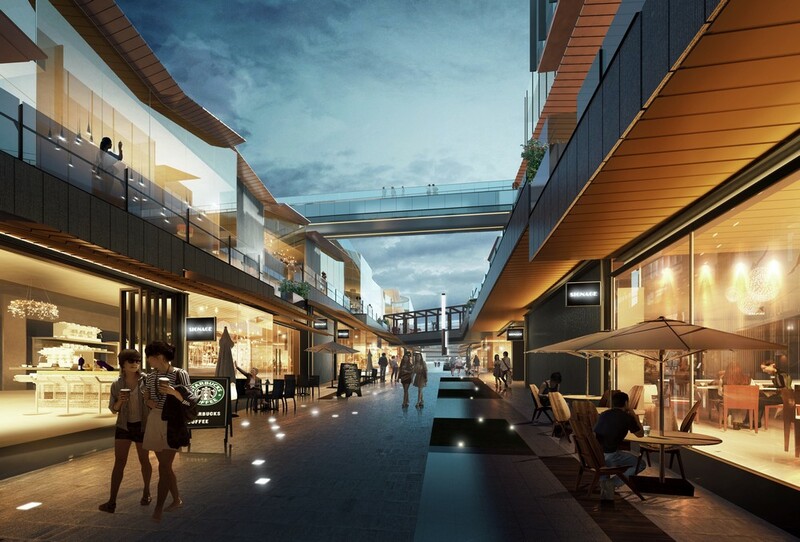 With Qujiang Creative Circle, we break from conventional enclosed malls. “Experience” is the design keyword here. 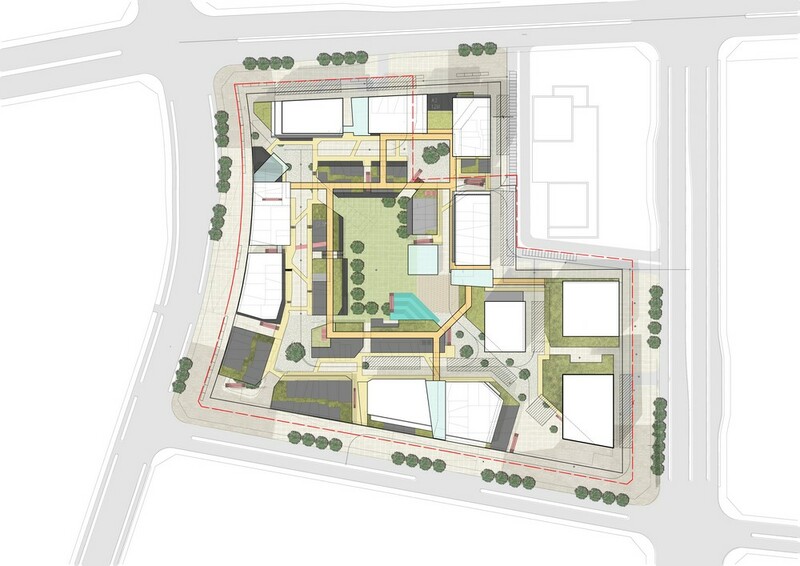 By knocking down the walls and creating a walkable streetscape environment, people are liberated from the confines of indoor malls and encouraged to engage in a neighborhood and enjoy the outdoors. 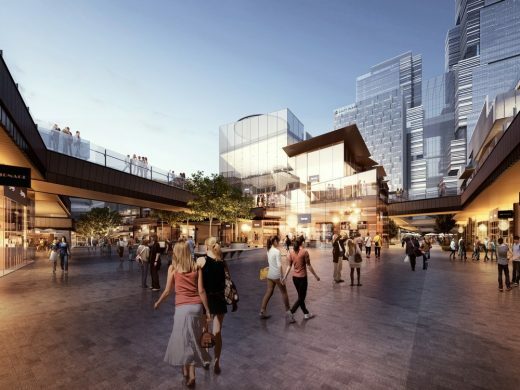 Walkways, footbridges, civic plazas, sky gardens, sunken terraces and green landscapes weave through the entire complex, connecting various functions and features in a rich variety of public spaces and experiences. This also means more possibilities for place-making, thereby providing more opportunities for networking and idea exchange to take place. The network of sky gardens, landscaped decks and elevated walkways punctuates the building mass of the complex, bringing the scale of the architecture down to a more humanised level. The project is as much landscape as it is architecture, and the boundary between indoor and outdoor merges. The Qujiang Creative City marks The Oval Partnership’s ongoing research for a prototype that speaks to the new generation’s desire for an urban fabric that is pleasurable, vibrant and conducive to innovation. The project will offer a vibrant mix of uses, all encompassed in an inclusive urban ecosystem, reflective of the area’s rich cultural heritage and appealing to all. ClientC: China Vanke Co. Ltd. & Xi’an Qujiang Cultural Industry Investment (Group) Co. Ltd.